Hello, I am a bad person! I spent all month taking time off from Six Months to write something for the Write A Game Challenge– a game jam that is being judged by cool people whose work I actually admire– but crapped out during the last week. Thanks to E3 I didn’t have enough energy to fix some major things that were wrong with my story. I was so nervous about releasing a flawed story that I gave up the entire project. With this new free time, I completely finished a completely different project (??) commissioned art for it, and did the Corgi Jam on itch.io just to do a jam, because I am addicted to game jams now, I guess. 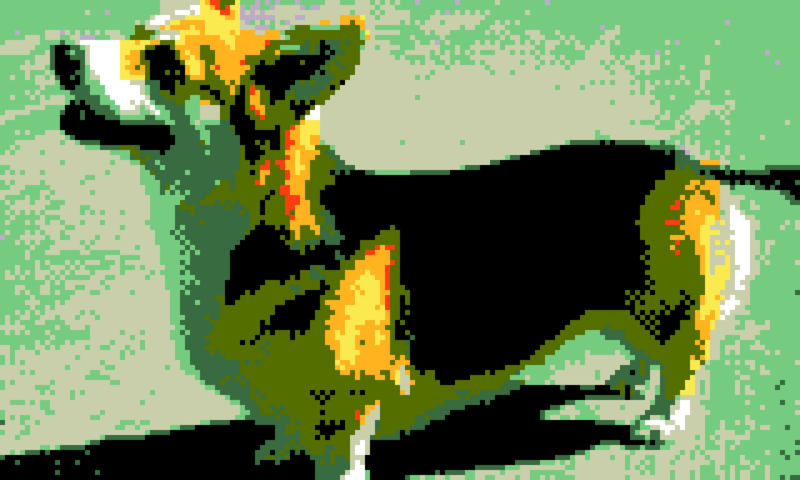 So here’s my submission for the Corgi Jam. It’s a summer school course for corgis living in America’s far future. Sid Menon edited it for me. All of the information in this game about the Supreme Court is taken directly off Wikipedia and is therefore probably mostly true. Part of the reason I failed to complete the WAG Challenge was that I basically scheduled myself too tightly for the month. In order to finish the game properly, I had to write an entire scene for it every two days. I had to do so much writing that I was basically unable to recreate. I spent a lot of time writing that thing wishing I could just go out and see a damn movie. In the end, when E3 derailed me, I got derailed hard. I might save the project and finish it later. I might also release it with Six Months and the others I’m planning to release together, since it’s set in the goddamn sad wizard world. It had a cool text mechanic that I really liked, too. This entry was posted in Games, Writing Projects. Bookmark the permalink.